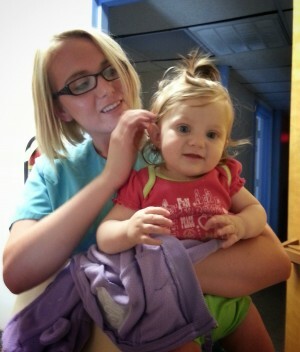 Living on the Edge of Poverty: Samantha's story | Center for Family Services, Inc.
Shawnel Toomey, our Essential Services Supervisor stopped me the other day to meet Samantha and Azayleeah. They had just finished meeting with Shawnel for help with a rent delinquency. Happily, we were able to assist the issue with funds from the HAP Rental Assistance program. I was glad to meet the two and Azayleeah is as pretty as her name sounds. I chatted briefly with Samantha about their life and the circumstances that led them to need a little bit of help. We wish only the best to Samantha and Azayleeah and because of you, we were able to help this family keep their home and many others just like them. Help local families by donating today. Yes, I want to help!